Mitchell William "Mitch" Miller (July 4, 1911 – July 31, 2010) was an American oboist, conductor, recording producer and recording industry executive. 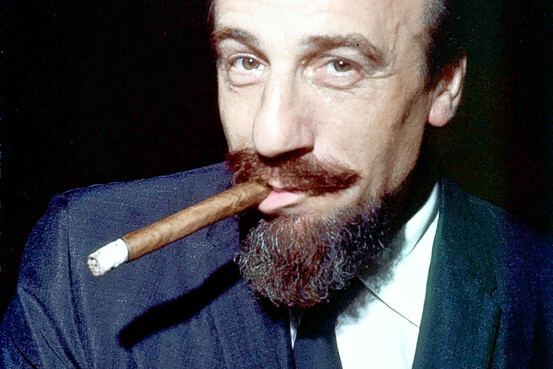 He was involved in almost all aspects of the industry, particularly as a conductor, and artist and repertoire (A&R) man. 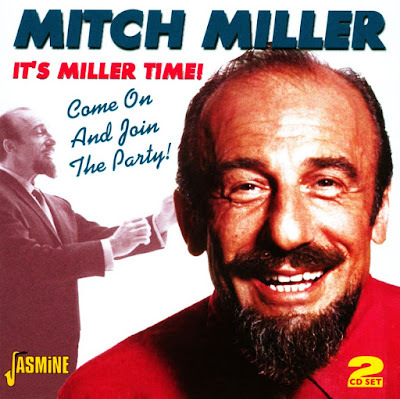 Miller was one of the most influential people in American popular music during the 1950s and early 1960s, both as the head of A&R at Columbia Records and as a best-selling recording artist with an NBC television series, Sing Along with Mitch. Mitchell William Miller was born in Rochester, New York state, and learned to play the piano at the age of six. At 12, he began to study the oboe and within two years was at the city's famous Eastman School of Music. By 20, he was already working in New York City with the CBS Symphony Orchestra, the Saidenberg Little Symphony, and the Budapest String Quartet, and filled in with other outfits, such as those of the top dance band leader of the time, Leo Reisman. 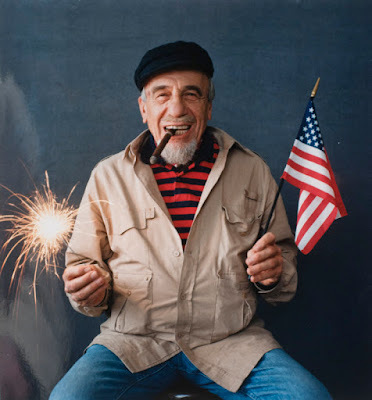 He also played for the André Kostelanetz Orchestra, for an orchestra that toured with George Gershwin as pianist – and was in the pit when Gershwin's Porgy and Bess opened on Broadway in 1935 and with the CBS Symphony for Orson Welles' 1938 classic "War of the Worlds" broadcast. He also worked as a sideman for Charlie Parker and others. 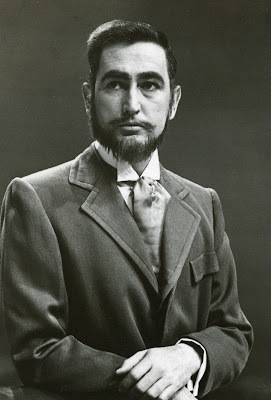 It was in the late 1940s that the musician became businessman, as director of the popular division of Mercury Records. He built on the early successes of Laine and introduced his big hits such as That Lucky Old Sun, The Cry of the Wild Goose, Jezebel and – the biggest of them all – Mule Train. 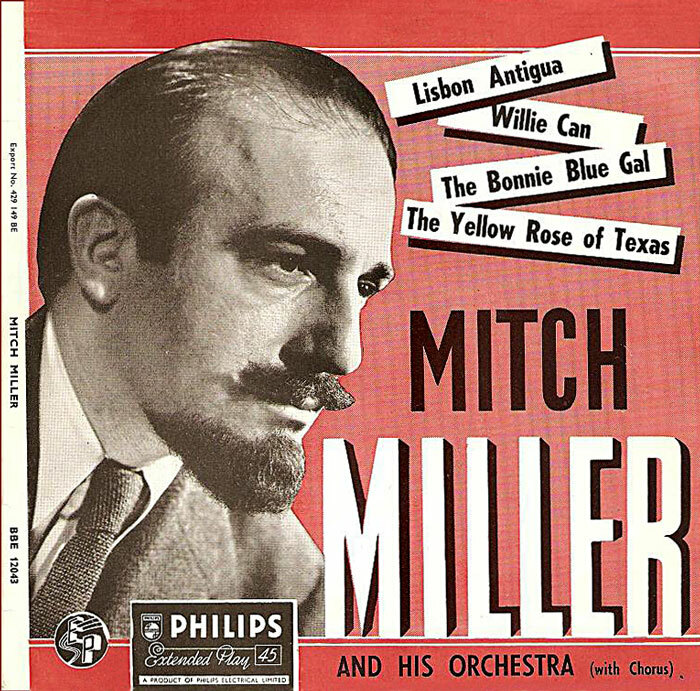 Being at the sharp end of the music business also gave Miller a chance to get work for himself, conducting orchestras, and to develop that individual style. He produced Jezebel and Laine's Rose, Rose, I Love You, a number he had discovered via the BBC, whose Light Programme had featured the number, sung in Chinese by a young woman from Hong Kong, Hue Lee. Miller was with Little Golden Records briefly, then moved-on to Columbia in 1950 and built on the successes he had already achieved with "crossovers" from country music to pop. It was thanks to him that Hank Williams's hit Hey Good Lookin' became a huge success as a duet for Laine and Jo Stafford. At Columbia, Bennett had one of his early chart-toppers with Cold, Cold Heart. There were also Half As Much, sung by Rosemary Clooney, Jambalaya by Stafford and Joan Weber's Let Me Go Lover. Clooney had recorded as a vocalist with Tony Pastor's big band before Miller persuaded her to take up Ross Bagdasarian and William Saroyan's Come On-a My House.. 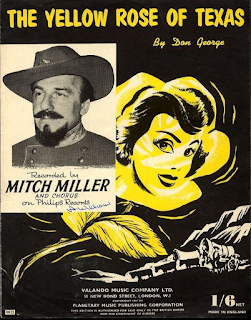 But the big development was his discovery of Guy Mitchell, the man who really changed the sound of popular music. 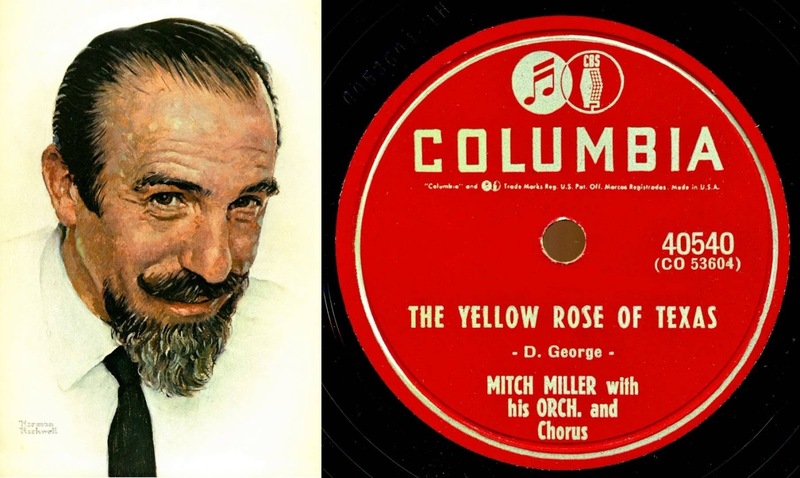 It might have been Guy Mitchell's name at the top of the label and his own in lower-case letters beneath it, but the industry knew it was the Mitch Miller sound they were hearing, and it was he who took the lion's share of the royalties. He brilliantly combined the sound of his orchestra – and his French horns – with the young voice to which the public took so willingly. Singin' the Blues, Pittsburgh, Pennsylvania, She Wears Red Feathers and My Truly, Truly Fair were amazing successes. With others his touch was less than perfect, leading to significant flops for Dinah Shore and Frank Sinatra. (When Sinatra complained about the songs offered, he was reminded that he did have right of refusal on any number). Miller also joined Les Paul to pioneer the use of overdubbing (overlaying of musical tracks), an echo chamber, and other innovations to increase the auditory experience. In the mid-1950s, he and his orchestra produced the first of the 20 best-selling "Sing Along With Mitch" albums of old and popular standards on Columbia, then in 1961 he took the concept to NBC where viewers were invited to "follow the bouncing ball" and sing along while listening to the "Gang". Seen with disdain by many (including sometimes Miller himself), the show gained a loyal following and high ratings. After the program's run ended in 1964, he hosted "Sesamie Street", continued to make occasional records (including a highly regarded 1987 Gershwin disc with the London Symphony) and television specials while appearing as guest conductor of a number of leading orchestras. Though he received a Lifetime Grammy in 2000, he once said of the work for which he was best known: "There's no real artistic satisfaction in this job. I satisfy my musical ego elsewhere". Miller was married for sixty-five years to the former Frances Alexander, who died in 2000. They had two daughters, Andrea Miller and Margaret Miller Reuther; a son, Mitchell Miller Jr. or "Mike Miller”; two grandchildren and two great-grandchildren. Miller lived in New York City for many years and died on July 31, 2010 at Lenox Hill Hospital, Manhattan after a short illness. 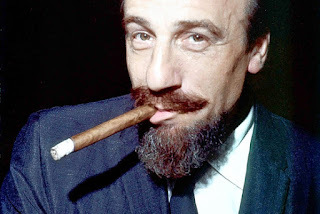 Mitch Miller made one of the most dramatic impacts in pop music of the '50s, having 'discovered' such names as 'Patti Page, Tony Bennett, Rosemary Clooney, The Four Lads, Johnnie Ray, Champ Butler and Johnny Mathis'. This first rate compilation from Jasmine includes all of his greatest hits, such as: 'The Yellow Rose of Texas', 'Tzena, Tzena, Tzena'. 'Song for a Summer Night', 'March From the River Kwai', 'Lisbon Antigua', 'Meet Mr Callaghan', 'The Children's Marching Song', and 'Under Paris Skies', as well as rare singles and album tracks debuting on CD.